News, photos, videos and more about football hooliganism in Belgium. 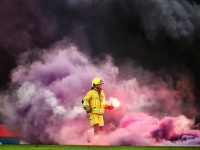 Standard Liege's clash against rivals Anderlecht was abandoned on Friday night because of flares thrown by away fans. 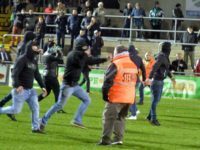 RAAL La Louvière fans attacked Francs Borains supporters following Saturday's defeat in the Belgian Third Amateur Division. 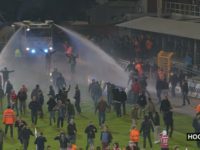 Angry Antwerp fans staged riots after their football team missed the league title in the second division.